Last winter, there was a slight freeze followed by a strong wind storm that blew down brittle branches and downed many trees in Eugene. Power was out for a lot of the city and there were branches everywhere. 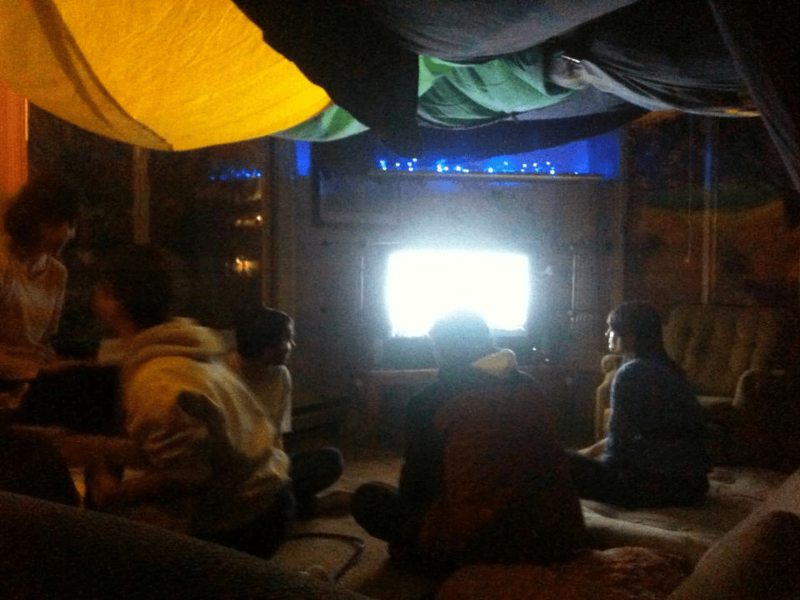 In response, the community house where I live made a rockin’ blanket fort in the living room and watched the Lord of the Rings. A good time was had by all (except probably for the city workers who had to clean up the mess). The next morning, a bunch of branches blocked part of the sidewalk near the house. They stayed there for probably two weeks while city workers focused on more important power outages and major blockages. As I walked around the branches blocking the sidewalk, I realized that in an anarchist society, they would have already been cleaned up. The day after the storm someone would have gone out, seen the damage, asked a few neighbors for a saw and some assistance, and the neighborhood could have removed the branches in a few hours. Maybe other neighbors could have cooked dinner for the workers and there could have been a nice potluck afterwards where people could warm up. Everyone could have gone home feeling a little closer to their neighbors, knowing they helped contribute to the well being of the community. But, of course, that didn’t happen. There are many reasons it didn’t happen: People are tired after a long day of producing wealth and leisure for others; there are no (or few) pre-existing ties between neighbors, making it awkward to knock on a stranger’s door; it could take away the city workers’ jobs; we are told that it is not in our interest to do work that doesn’t directly benefit us; and I wouldn’t be surprised if it were illegal for individuals to clean up storm debris. Everyone waited for the City to take care of it for them. How much faster could the roads have been cleaned if people felt empowered to take action? This is a minor example of a much larger problem. The current system discourages people from solving problems themselves so they will depend on other institutions (government, businesses) to solve problems for them. 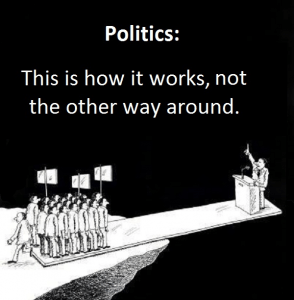 Everyone is trained and taught to give away power to someone else: First at school, then in jobs, and in government, we are always deferring to someone else to make decisions. So, when something needs to get done, we expect someone else to take care of it, like they do everything else. 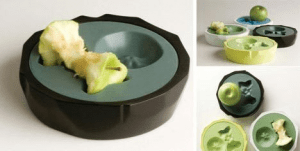 Do we really need a product to hold used apple cores? And you could eat way more of that apple! You can see it in the government, which makes new laws for every little nuisance. You can see it in the court system, where people turn to the government to solve interpersonal problems.And you can see it in products that solve non-existent problems. So let’s stop deferring! Even if it’s just a little bit at a time, it’s a good muscle to strengthen. Next time there is a storm, I will ask the neighborhood for help so we can clean up as a community. It will remind me, and others, that we don’t need other people do to everything for us and can accomplish great things if we work together. And the next time there is a need, it will be that much easier! Can you think of any other examples where people defer to others? Is there anything you’ve thought about doing with a community? Let us know in the comments!